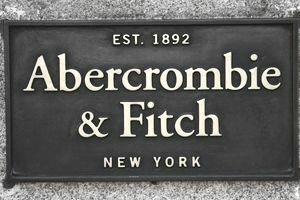 When the American Customer Service Index (ACSI) was released by the University of Michigan in February 2016, it was Abercrombie & Fitch (ANF) that was branded as the "most hated retailer in history" with a customer satisfaction score that was reported to be the lowest in the 22-year history of the ACSI. The big question raised by this 2016 ACSI report was why customers hated Abercrombie & Fitch. Fourteen months after Chief Executive Officer (CEO) Mike Jeffries left Abercrombie & Fitch, the company was still experiencing the consequences of the less-than-positive legacy that he left behind. In May 2013, Jeffries's supercilious remarks about non-skinny customers who didn't belong in Abercrombie & Fitch fashions piggybacked on an October 2012 revelation that the flight attendants on Jeffries' private jet were required to wear flip-flops and adhere to other bizarre dress and behavioral codes. The combination of these two widely reported incidents ignited an explosive global backlash from both consumers and employees that was rarely seen in the retail industry. Suddenly, the value of the Abercrombie & Fitch brand became inextricably associated with the exclusionary opinions and personally offensive behaviors of its CEO. It was the ultimate irony, as Jeffries was seemingly singularly focused on the fabricated value of the Abercrombie & Fitch retail brand for more than two decades. In the final months of Jeffries' tenure as CEO, he had a 38 percent approval rating from former and current employees. Unfortunately for Abercrombie & Fitch, it seemed that the negative momentum from the global fallout that Jeffries's controversial words created continued for more than a year later, which proved that Jeffries was partly correct in his conclusion that brand image is paramount. No matter if you dedicate your entire career to fashioning a brand image with slick marketing campaigns and manipulatively crafted in-store experiences, once the reality behind those smoke-and-mirror tactics is revealed, it's the genuine truth that resonates and sticks with consumers. Mike Jeffries' past comments had long-term repercussions that affected the company's earnings as well as its reputation. However, in a 2017 ASCI report, Abercrombie & Fitch finally showed some improvement, jumping 4 percent to a 79 ranking thanks, in part, to a strategic brand overhaul that appeared to be more inclusive, with updated designs for a broader range of body types.